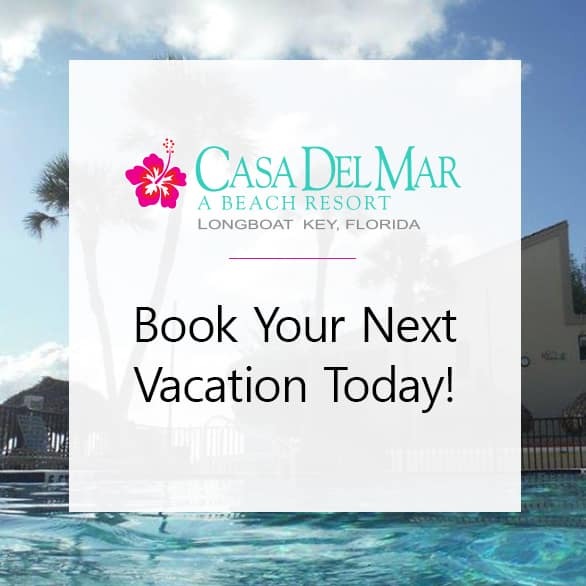 You finally made it to our beach resort and are looking for golf courses near Longboat Key, Florida. Longboat Key is best known for its beautiful beaches, and serene atmosphere but many people don’t know about the lavish golf courses waiting close by. Perhaps you would like to hit the links or just work on your short game. Either way, Sarasota is home to some of the most beautiful golf courses in the state. Golf Digest has rated University Park Country Club four stars since 1996 and Sarasota Magazine has rated the challenging 27 holes at University Park the “Best Place to Play Golf” for 22 years running. Golf Advisor rates University Park #10 on its list of top 25 courses in Florida. Given those credentials, it’s not surprising that the Club has hosted the U.S. Open qualifier, the U.S. Amateur and Florida Amateur qualifiers and the Florida State Junior Championship. The Club is also home to The Golf Academy at University Park. The academy offers a variety of clinics, golf schools, as well as private individual lesson and on the course lessons for all ages and skill levels. UPCC has special summer rates June 1 through September 31. Rates include cart fees and unlimited use of the driving range and short game practice areas. Book your tee time by calling the Pro Shop 7 am-5 pm. Reservations may be made 3 days or less in advance 941-359-9999. For clinics and lessons call Clinton Whitelaw at 941-359-9999 extension 236. Per person rates for 18 holes are $55 before 1 pm and $40 after 1 pm. Rates for 9 holes are $33 before 1 pm and $24 after 1 pm. Let our PGA and LPGA golf professionals help you sharpen your skills and get the most out of your game. Private instruction gives you one-on-one personal attention, where you can focus on specific aspects of your game or broaden your skills and knowledge in a small group setting at any one of our daily clinics and 2 and 3 Day Golf Schools. For lessons and clinics call Clinton Whitelaw 941-359-9999 extension 236. University Park instructors: Ashley Hayden, Head Golf Professional. Clinton Whitelaw, Head Teaching Professional and Sue Ertl LPGA teaching professional. Clinton holds Class A membership with the PGA of America. After attending UCLA on a golf scholarship, Clinton turned professional at age 21. As a tour player, he recorded 55 top ten finishes, won the Moroccan and South African Opens and set the course record at three tour venues. Clinton’s coaching experience includes working with tour professionals and many elite juniors. He was formerly the Head Teaching Professional at the World Elite Golf Academy at the National Golf Club in Orlando, Florida. Players who have benefitted from his expertise include Anders Hansen, Hennie Otto, Trevor Dodds, Aiden Ze and Carl Yuan. He has also worked with renowned teachers such as Jamie Gough, Sam Frost Bobby Verwey, and Peter Bakker. Clinton uses both K-video and V-1 coaching tools and has vast experience coaching ladies and junior golfers. Clinton is one of only 360 Full Members of the Proponent Group. Only highly qualified veteran instructors are invited to become members of this group that represent the top 10% of teaching professionals worldwide. Ashley joined University Park Country Club and became a PGA class A member in 1996. As the Head Golf Professional at University Park Country Club, Ashley is responsible for all aspects of the management of the golf operation and is also actively involved in the Golf Academy and golf instruction. Sue has been a teaching Pro at University Park Country Club since 1998. She teaches multiple clinics as well as provides individual lessons for all ages and skill levels. Sue began her professional golf career in 1982 when she qualified for the LPGA tour. A popular member of the tour for the next 11 years, Sue’s top LPGA finish was fourth, a feat she accomplished four times – most notably in the 1990 LPGA Championship. That year also marked her career-best finish of 32nd on the tour money list. After her final full year on the LPGA tour, Ertl was ranked 113th all-time in LPGA tour earnings. Sue continues to compete during the summer months on The Legends Tour, winning the tour’s qualifying tournaments in both 2003 and 2004. In 2005, she won the Women’s State Opens in both Massachusetts and Ohio and most recently finished 3rd in the 2010 Michigan Women’s Open. In addition to Sue’s career-low score of 64, she’s claiming 10 holes-in-ones. In 1988, Sue was inducted into the Women’s Collegiate Golf Hall of Fame. In 2001 she was honored by Michigan State University with an induction into their Athletic Hall of Fame and in May 2010 Sue was the 89th inductee into the state of Michigan’s Golf Hall of Fame. Daily topics vary by clinic and include putting, chipping, irons, driver/hybrids, bunker play and specialty shots. Call the pro shop for the class schedule. Max per class 10 students on a first come, first serve basis. Students will receive individual video instruction and analysis plus a lunch.